In one of life’s great ironies, we have none other than J. Edgar Hoover to thank for the purchase of Montague Farm in 1968 by members of Liberation News Service. For as the violent protests of that year unfolded, Hoover’s FBI began harassing the then-Washington DC based service, which provided college campuses with an anti-Vietnam war alternative to the Associated Press. The Farm’s purchase was financed by several showings of “Magical Mystery Tour” at NYC’s Filmore East (how the rights were secured from the Beatles must be an interesting story!). An unfortunate and in many ways typical political split had occurred in the LNS staff, so printing equipment was taken from New York to the Farm, and afterwards LNS continued in two locations. " 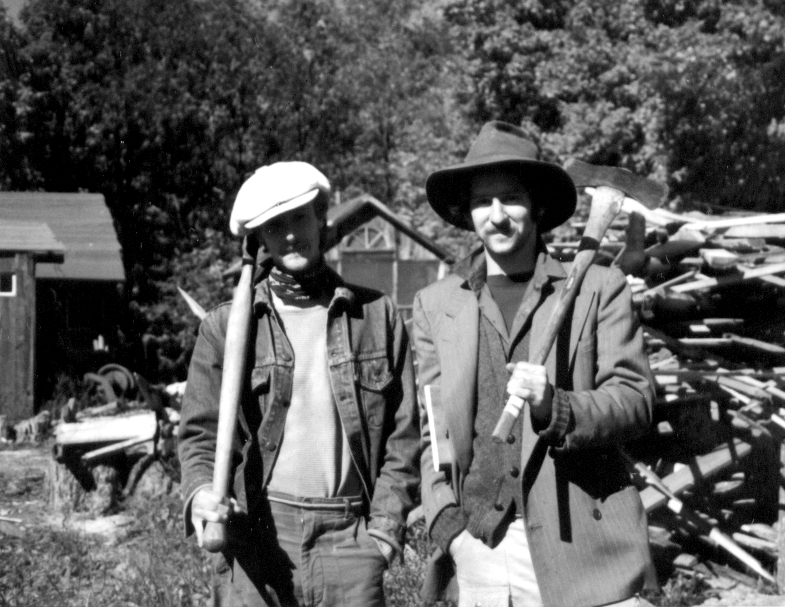 While Liberation New Service was only published in Montague for a short time, "Montague Farm" became a node of the counter-culture, with important contributions in the areas of alternative lifestyle, organic farming and sustainable resource use. 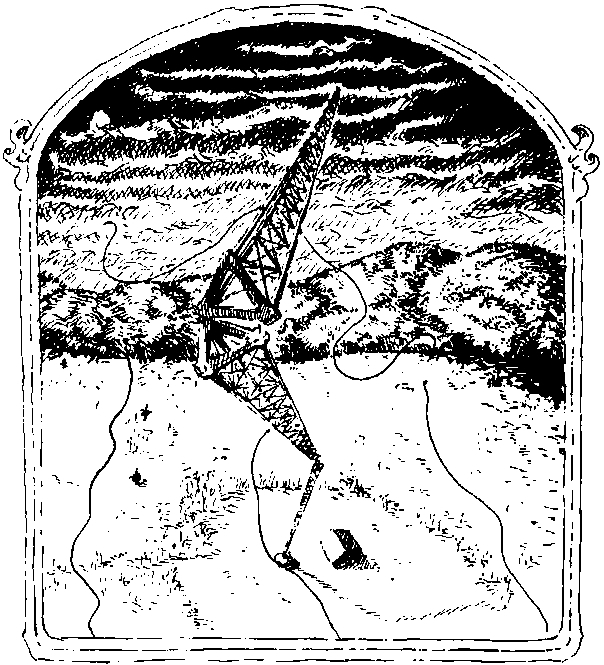 And perhaps no single act had as powerful a galvanizing effect on the anti-nuclear movement as Farm member Sam Lovejoy’s destruction of a nearby nuclear weather tower on February 22, 1974. A high profile trial followed, the anti-nuclear movement grew and the plant was cancelled. Sam and Harvey Wasserman went on to organize the 1979 No Nukes concerts at NYC’s Madison Square Garden, which helped fund safe energy initiatives for years after. For the full story on this, see the contribution below from Harvey and Anna Gyorgy. In the words of author Tom Fels, “From the beginning, Montague Farm commune has played the role of safe haven -- a place where people, even people of very different persuasions and beliefs, can live as they think they ought to, and in the process offer a model for others. It has been a base for social change, as well as a nurturing environment for individual growth. “Probably,” Tom continues, “these qualities reflect its earlier history as a New England farm”, which left us the chestnut structures of the barn and farmhouse, open fields bordered by stone walls and a venerable maple grove which rises up along the farm’s northern edge. 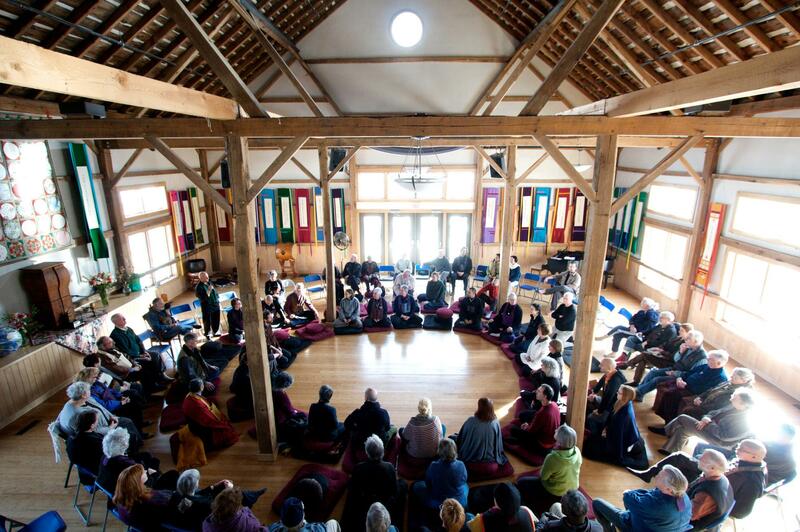 Certainly they reflect the decision in 2002 to sell the Farm to a socially active Zen Buddhist community, which bequeathed a state of the art conference center and a large water system. And hopefully they will extend to its future as a retreat center and vibrant, community hub. The Montague Farm & No Nukes: the tale of an "anti-nuclear family"
The real power of the role of Montague Farm in the No Nukes movement came from its instant consensus. When the nukes were proposed for a site 4 miles away, there was no deep, heartfelt debate about what we were going to do. We were, simply enough, going to stop it. Right from the start we were all involved, and stayed that way for years and decades. At the very least, for starters, we were going to work to stop the Montague Nuke for “as long as it takes.” Anna, Daniel, Nina, Sam, Janice, Tony, Sue, Peter, FredZ, Chuck, Amy, Sluggo, Judy, Stevie, Betsy, Randy, Fran, Robbie, Susan M., George, Hedy, Judie Sloan, Marty, Verandah...so many others.....whoever was at the farm and in the affiliated community was committed and immersed over time and it was an incredibly great and powerful thing. A force of nature. One way or the other, Montague Farm helped give the early grassroots movement a name, a spark and a vision. And a strategy: not the reform route of hiring lawyers and 'intervening' before an agency (the Atomic Energy Commission) charged with building the things. We would go for public education -- starting with ourselves -- and non-violent direct action to stop the nukes. We started with our little groups like Nuclear Objectors for a Pure Environment (NOPE) and the Alternative Energy Coalition (AEC). When we printed the first No Nukes bumper stickers and produced a page of our reasons for opposition for the Greenfield Recorder, we had a pretty good idea of an uncompromising, crystal clear abolitionist position against atomic reactors. When Sam knocked over the weather tower we had a clear understanding of what kind of risk it would take to stop them...and there was Green Mountain Post to get the word out in an amazingly powerful, global way. Their films Lovejoy's Nuclear War, The Last Resort, Organizing for Non-Violence etc. were shown at festivals, organizing meetings, general gatherings and even national television all over the world. When Fran helped organize the Toward Tomorrow Fair at UMass with Amory Lovins and William Heronemus, we got a pretty good idea of where we wanted to go in terms of a Solartopian vision of a green-powered future. All these landmarks have stood the test of time. They were also long before MUSE, and helped make it possible. A slate of Montague nuclear opponents reached many with the message and won 7% of the vote in town elections. We lost the first referendum on the Montague nukes by a ratio of 3:1. But 770 people voted for shut-down, which was a great indicator of a serious core of strength within a small town. We then started going up to Seabrook, to support the local opposition there. Green Mountain Post filmed the first arrests on August 1, 1976. It also filmed the big legal rally on June 24, 1978. Within that span we saw the birth of a mass movement, rooted in non-violence. Everyone at Montague participated in one way or another. The farm helped serve as a vortex for the grassroots organizing and strategizing that helped, along with so many others, bring this powerful historic movement together. The legal rally on June 24 culminated one phase of the movement building. The Clam had already become victim of its success. With a large number of diverse new minds and members, which we welcomed, came a loss of that unspoken familial consensus that comes with early movement building. When NH Gov. Meldrim Thomson swore to do violence against another mass site occupation, we lost the consensus of the local folks around the site without whose active consent a major civil disobedience action could not proceed. So the Clamshell used its internal process and commitment to non-violence to jump outside the box. Nine months before Three Mile Island, we drew 20,000 people onto an active reactor construction site. It was the biggest No Nukes rally in US history to that time. It also drew Pete Seeger, Jackson Browne and John Hall, as well as producer Tom Campbell. From there sprouted some of the roots of the Musicians United for Safe Energy Concerts, organized by so many good folks from all over the country, including Sam, Sluggo and the larger Montague/Clamshell community. And smack in the middle of those 90,000 folks who came to Madison Square Garden those 5 nights, and the 200,000 who came to the rally at Battery Park City, and the million-plus who bought the album and saw the movie, was that wonderful core at Montague Farm whose instant karma it was to help stop the Montague Nuke…and hopefully, eventually, all the other ones as well. No Nukes!